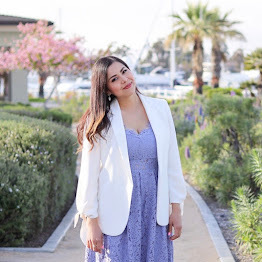 Please note that this is in collaboration with L'Oréal Paris and Latina Bloggers Connect, this post was written by me for lilbitsofchic.com and expresses my personal views and opinions. In today's "Beauty Bit" installment, I get to merge two of my favorite topics, beauty and women empowerment thanks to L'Oréal Paris #PorqueTuLoVales campaign. My beauty journey started at a very young age and was heavily influenced by my Latina roots. My skin has always been of an olive tone and for the most part was very cooperative with my many make-up experiments over the years, however as I got older I realized that it started becoming less forgiving. I notice that my skin goes through phases, from dry to oily, new freckles, dark spots, texture changes and imperfections all of which as a proud Latina woman I have always embraced, but after educating myself about products that help me in rewinding the skin clock I have quickly adopted them into my regimen with the benefit that this will enhance my Mexican skin attributes. To tackle my oily skin situation, especially as I sit in an office for over 8 hours without many opportunities to wash my face or tame the oil, I use the L'Oréal's Youth Code Texture Perfector Regimen which will also minimize the look of pores and improves skin texture. Step 1: After washing my face, I treat my skin with the Texture Perfector Serum Concentrate which starts tightening my pores and works on my fine lines. You know those worry lines that as women we develop as we try to be Superwomen? Yes, those! Step 2: I then moisturize with the Texture Perfector Day/Night Cream which makes my skin feel softer. Step 3: Youth Code Texture Perfector Pore Vanisher leaves my skin feeling hydrated, and helps me fight oily skin! Definitely a life saver during the long work hours, one less thing to worry about! Once in a while, dark spots especially due to post acne scars become my worse enemy. Two products that are extremely helpful are the Youth Code Dark Corrector Spot Serum (helps to restore luminosity and fight discoloration) and similarly, the Youth Code Dark Spot Corrector Day Cream aids in the same efforts (but carries SPF 30 to protect your skin from the rays). We can't talk about skin and aging without talking about L'Oréal's Revitalift Miracle Blur Line that acts as an instant skin smoother. Start off with the Revitalift Miracle Blur Moisturizer with Opti-Blur™ technology that diffuses light on skin for a radiant soft-focus blurring effect while providing 24-hour hydration. This is a great product especially when you're expecting to get pictures with a flash taken, it prevents the flash from reflecting off of your skin! Follow it up with the Revitalift Miracle Blur Oil Free or the Revitalift Miracle Blur Original after moisturizer, under your foundation or alone. I love how it gives a velvet soft matte on my skin that lasts all day. And ta-dah! My face feels ready to take on the make up! 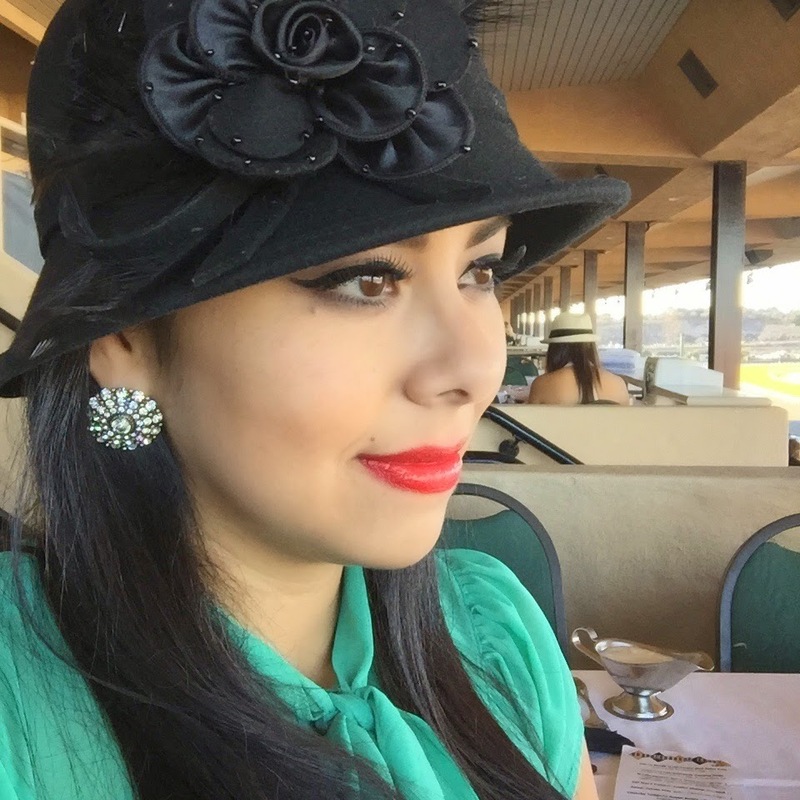 Here I am after applying my beauty look to attend the Opening Day of the Bing Crosby Season at the Del Mar Racetrack! No shiny skin! woo hoo! 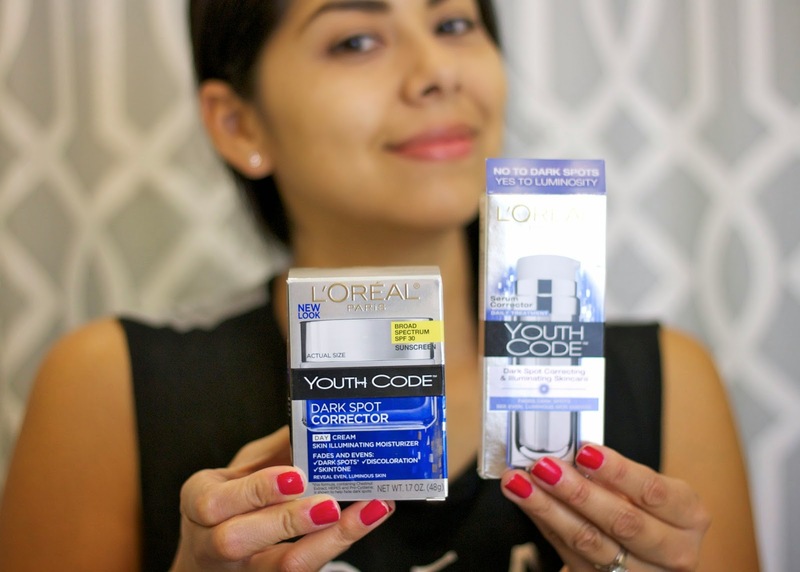 Because You’re Worth It, (like totally worth it) I have teamed up with L'Oréal Paris and Latina Bloggers Connect to bring you a special giveaway! You can win these L'Oréal Paris products that I just talked about! Yasss!! Use the Rafflecopter below to enter where the more ways you follow, the better chance you have of winning this prize! This Giveaway will run until 11:59pm Wednesday November 19, 2014 and is open to U.S. residents only. The winner will be announced the Monday thereafter and contacted via email! Good Luck! 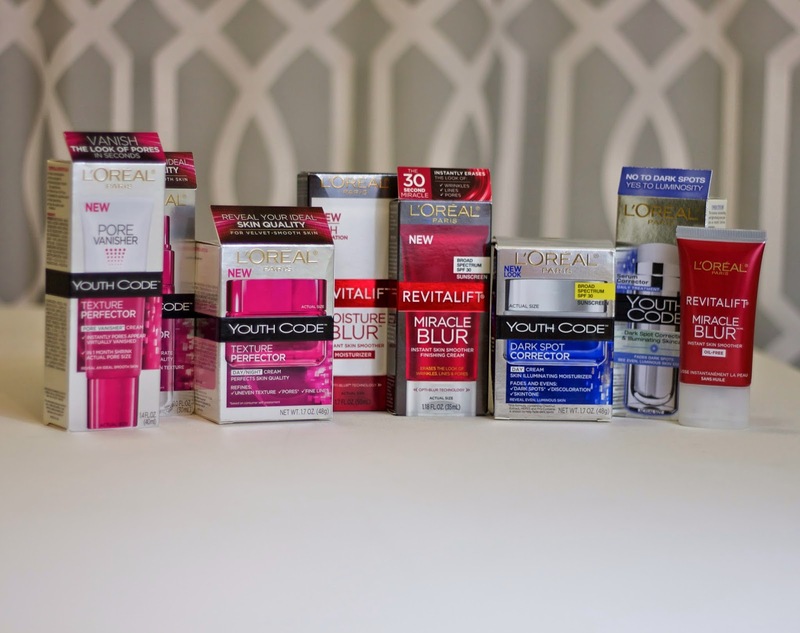 I totally love all L'oreal products so I think this is a fantastic giveaway!